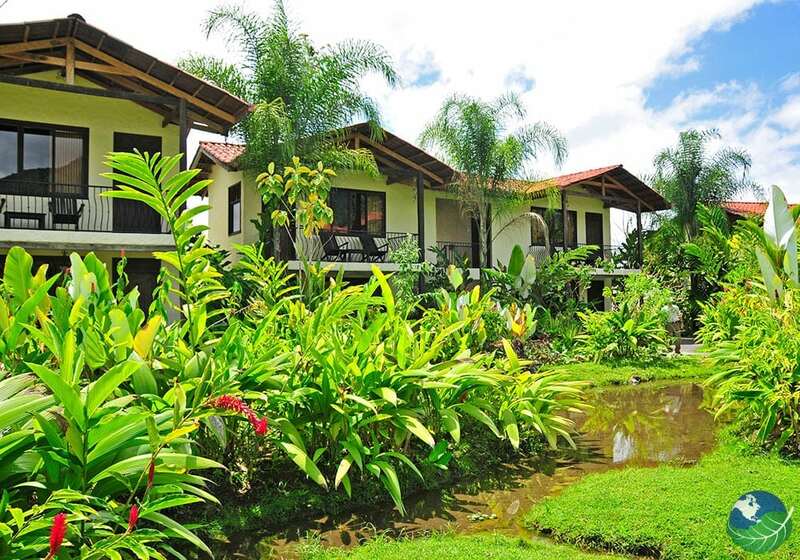 Casa Luna - Hotel in Arenal, Costa Rica. The Casa Luna welcomes every guest with open arms, who is looking for a relaxing but also responsible vacation. Sustainability is key and the hotel was build using reforested wood, contaminant-free paint, recycled plastic roofs. Also, it has installed an energy-saving electrical system, keeping their eco-friendly promise to their guests. Feel at peace with nature during your stay at Casa Luna while. Then watch the spectacular Arenal Volcano, and become one with nature during a nature hike. Do some birding for the most exotic and famous Costa Rican birds. After a tiring day of excursions, relax at the hotel’s spa. There trained professionals treat and pamper you with massages, body wraps and the unique scrubs and facials like Natural Herb, Coffee, or Fruit Exfoliation. Also, the Arenal Mud Masque, using natural and local ingredients from around Casa Luna. This hotel offers comfortable rooms with air conditioning, wireless internet. 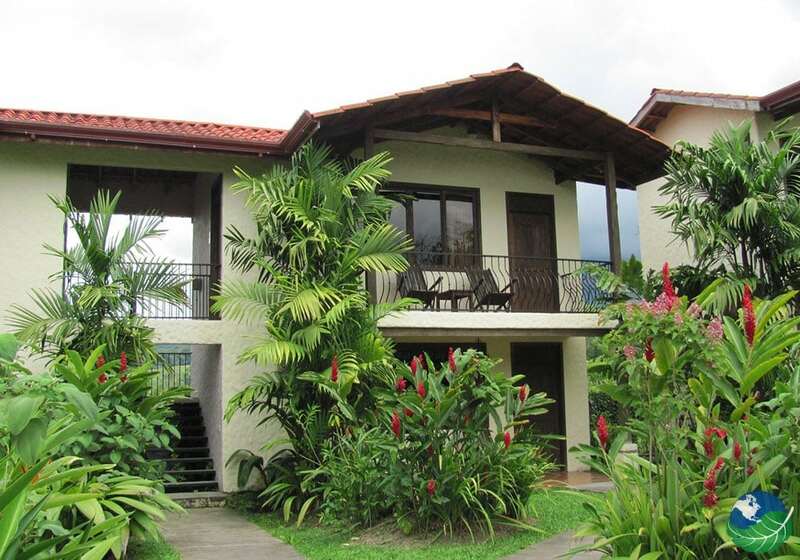 Also, two queen size beds, and a private balcony with a spectacular view of Arenal Volcano. All around you are beautiful tropical gardens. At night at this “House of the Moon” (Casa Luna), you can walk around the grounds and hear the songs of tropical frogs. At night be enchanted by the gardens bathed in moonlight. The Casa Luna Restaurant is open to the gardens so that while you are dining on fine cuisine or enjoying fresh fruit drinks or cocktails, you can enjoy the hummingbirds and flowers. 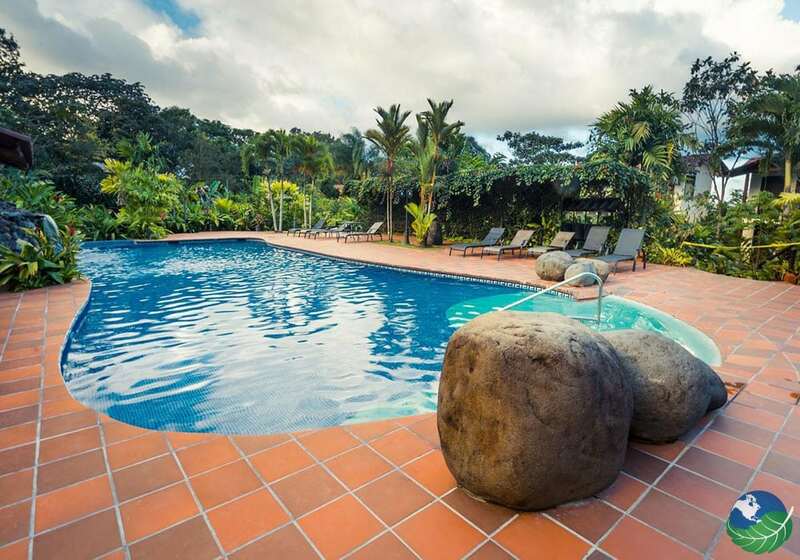 Casa Luna Hotel & Spa is conveniently situated in Arenal. You wont get bored there, the Arenal area is hosting all kinds of locations for adventure tours, wildlife sanctuaries and wellness oasis. If you want to go on an exciting day trip, visit the nearby Venado Caves or the highlands of Cerro Chato. Casa Luna itself also offers your great Arenal tours and excursions. 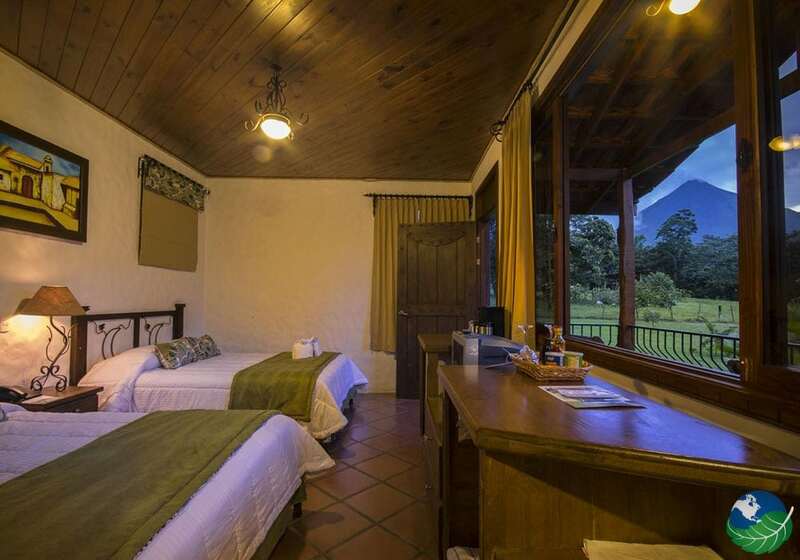 Located not far from the hotel like Juan Castro Blanco National Park. There you can experience canopy tours and rappelling adventures over the tropical rainforest. At the end of a big day, you can keep the nature vibe and satisfy your stomach at the same time while eating at the Casa Luna Restaurant. You can enjoy any of the vast variety of fine meals and dishes open throughout the hotel’s tropical gardens. 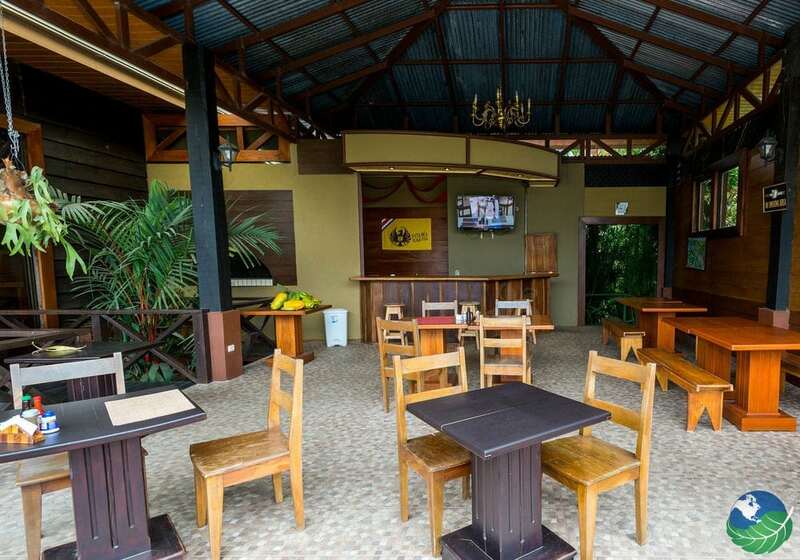 Sit back and relax and sip on a fresh fruit cocktail enjoying one of the most beautiful areas in all of Costa Rica. In conclusion, Casa Luna Spa provides excellent services for ultimate pampering. Highly skilled therapists provide a variety of rejuvenating services at the hotel Spa. Signature massages like the Dream Catcher will help you get a good night’s sleep. There are unique scrubs and facials like Natural Herb, Coffee, or Fruit Exfoliation. Too, the Arenal Mud Masque that uses local natural ingredients harvested near the Hotel for a relaxing, purifying experience. If that doesn’t sound great already, you can take in all the natural beauty around you. 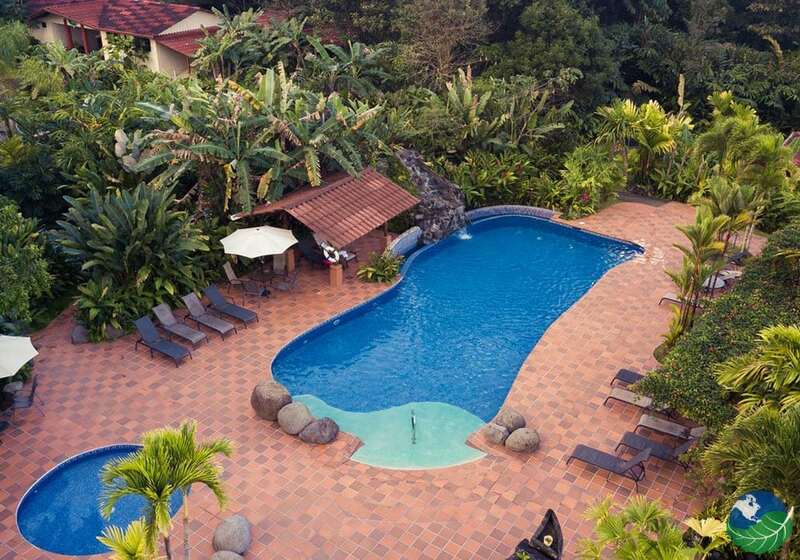 All from your very own private balcony with a great view of the volcano and beautiful tropical gardens. Full with all sorts of wildlife! Feel free to take a moonlight stroll on the hotel grounds. Then see tropical frogs and the beautiful moonlight shine all around you. Casa Luna Hotel & Spa offers you eco-friendly rooms as well. Above all, their primary objective is to provide enchanting and enjoyable experiences to all guests. Each room is designed for your comfort, all featuring low energy air conditioning with no toxic gas emissions. Too, wireless Internet, and two queen size beds. The rooms also feature lights that automatically shut off, biodegradable products such as shampoos, bath soaps, and cleaning products. Arenal. Volcano Spa, Pool, Jacuzzi, Restaurant. TV, Phone, Safe Box, Private Jacuzzi, Hair Dryer. Concierge, Room Service.